and important enrollment dates to remember. Medicare is a federal health insurance program for people who are 65 and older. When you are turning 65 and enrolling in Medicare for the first time, there are important dates and other things to consider before making your decision. There are coverage gaps in Original Medicare (A & B). Most people choose one of two ways to cover the gap, Medicare Supplement (Medigap) Plan, or Medicare Advantage Plan. To enroll in Part A & B call Social Security at 1-800-772-1213 TTY users should call 1-800-325-0778. You may also visit your local Social Security office or you may apply online by visiting the Social Security Medicare Enrollment page. You must sign up for Medicare A & B (Original Medicare) beginning three months before you turn 65, and coverage can start as soon as the first day of your birth month. The initial enrollment period lasts until three months after your 65th birth month. If you miss this enrollment window, you can sign up during the General Enrollment Period between January 1st through March 31st of each year. Keep in mind that you may be required to pay penalties for late enrollment. One of the penalties that may affect you is your Monthly Part B premiums. Penalties increase by 10 percent for each year you were eligible for Medicare but didn’t sign up for it. If you or your spouse is employed and covered by a group health plan at work, there are some options. To avoid penalties and higher premiums, you must sign up for Medicare Part B within eight months of your group health coverage ending date. During this eight month period you can apply for a Medigap plan to help pay most or all of what Original Medicare (A & B) does not cover. You cannot be denied coverage, no matter what your health status is during this enrollment period. If you do not enroll in a Medigap plan during this enrollment period, there is no guarantee a plan will accept you and offer you a supplemental plan. Note: Medicare may also ask for you and your employer/ spouse’s employer, to fill out and sign a “Request For Employment Information” form when applying for Medicare Part B. Be age 65 or older and eligible for Social Security: You may be automatically enrolled into Medicare Part A (hospital insurance) when you reach age 65 and become eligible for Social Security; but if you want Medicare Part B (medical insurance), you have to enroll in it.If you are already getting benefits from Social Security or the Railroad Retirement Board (RRB), you will automatically get Part A and Part B starting the first day of the month you turn 65. Regardless of which day of the month your 65th birthday is, your Part A and Part B coverage begins the first day of your 65th birth month. (Example: If someone turns 65 on June 14, 2015 their Part A and Part B will be effective on June 01, 2015. )If you are not receiving retirement benefits from Social Security or the Railroad Retirement Board (because you’re still working, for example), your enrollment is not automatic and you must sign up for Medicare Part B when you meet the age requirement. You are permanently disabled and receive disability benefits for at least two years: You automatically get Part A and Part B after you receive disability benefits from Social Security for 24 months or certain disability benefits from the Railroad Retirement Board (RRB) for 24 months. 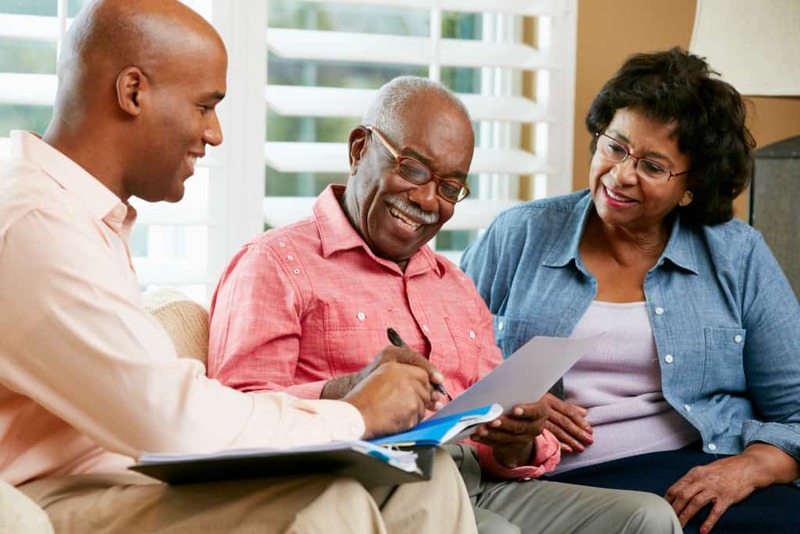 Have End Stage Renal Disease (ESRD) (permanent kidney failure that requires dialysis treatment or a kidney transplant): Your enrollment is not automatic, and need to sign up for Medicare. Have Lou Gehrig’s disease (Amyotrophic Lateral Sclerosis, or ALS): You automatically get Part A and Part B the month your disability benefits begin. Most individuals don’t have to pay monthly premiums for Medicare Part A if they or their spouse paid Medicare taxes while working for at least 10 years (or 40 quarters). You are eligible to enroll in Medicare Part A and B three months before the month in which you turn 65, (when you are 64 years and 9 months old). You’ll receive an Initial Enrollment Questionnaire (IEQ) in the mail to complete and mail back. Fill out the IEQ so your Medicare Part B monthly premiums are paid correctly and on time. You can also complete the IEQ online at MyMedicare.gov. Medicare beneficiaries are required to do a phone interview with the Social Security Administration when enrolling for the first time. They will determine eligibility and answer any questions about enrolling in Medicare. Once you are enrolled you’ll receive your red, white, and blue Medicare card in the mail within 30 days. If a person has been entitled to certain Social Security and Railroad Retirement Board (RRB) or disability benefits for at least 24 months, Medicare Part A enrollment is automatic and a Medicare card is mailed approximately three months before the 25th month of disability benefits. People with amyotrophic lateral sclerosis (ALS, known as Lou Gehrig’s disease) will automatically be enrolled in Medicare Part A and Part B starting in the month that their disability benefits begin. People with end-stage renal disease (ESRD) do not need to be receiving Social Security disability benefits to qualify for Medicare and can still be employed. If you have ESRD and require kidney dialysis or a kidney transplant, you can enroll in Original Medicare (A & B) any time before turning 65.